Jewish sources are conflicted about what happens after we die. Like other spiritual traditions, Judaism offers a range of views on the afterlife, including some parallels to the concepts of heaven and hell familiar to us from popular Western (i.e., Christian) teachings. While in traditional Jewish thought the subjects of heaven and hell were treated extensively, most modern Jewish thinkers have shied away from this topic, preferring to follow the biblical model, which focuses on life on earth. The subject of death is treated inconsistently in the Bible, though most often it suggests that physical death is the end of life. This is the case with such central figures as Abraham, Moses, and Miriam. There are, however, several biblical references to a place called Sheol (cf. Numbers 30, 33). It is described as a region “dark and deep,” “the Pit,” and “the Land of Forgetfulness,” where human beings descend after death. The suggestion is that in the netherworld of Sheol, the deceased, although cut off from God and humankind, live on in some shadowy state of existence. While this vision of Sheol is rather bleak (setting precedents for later Jewish and Christian ideas of an underground hell) there is generally no concept of judgment or reward and punishment attached to it. In fact, the more pessimistic books of the Bible, such as Ecclesiastes and Job, insist that all of the dead go down to Sheol, whether good or evil, rich or poor, slave or free man (Job 3:11-19). The development of the concept of life after death is related to the development of eschatology (speculation about the “end of days”) in Judaism. Beginning in the period following the destruction of the First Temple in Jerusalem (586 BCE), several of the classical Israelite prophets (Amos, Hosea, and Isaiah) began forecasting a better future for their people. 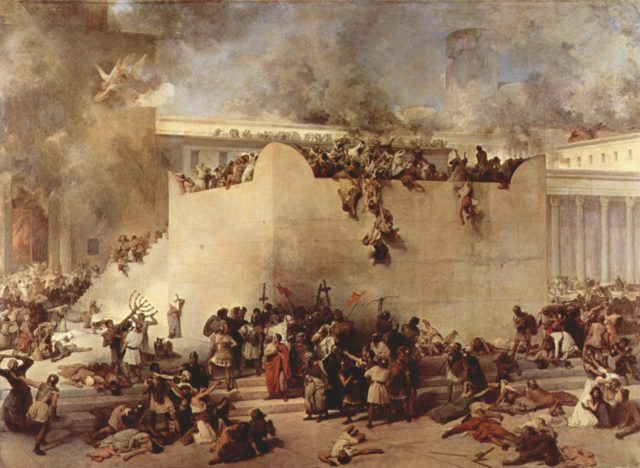 However, with repeated military defeats and episodes of exile and dislocation culminating in the destruction of the Second Temple in 70 CE, Jewish thinkers began to lose hope in any immediate change, instead investing greater expectations in a messianic future and in life after death. This was coupled with the introduction into Judaism of Hellenistic notions of the division of the material, perishable body and the spiritual, eternal soul. The catastrophe of 70 CE caused a theological crisis. How could it be that the God of Israel would simply allow His sanctuary to be destroyed and His people to be vanquished at the hands of the Roman Empire? While the rabbis often claimed that it was the Israelites’ sinfulness that led God to allow it to be defeated (mi–p’nei hataeinu, “because of our sins”), it was more difficult to explain why good and decent individual Jews were made to suffer. Rabbi Ya’akov taught: This world is compared to an ante-chamber that leads to Olam Ha–Ba, (the World-to-Come)” (Pirkei Avot 4:21). That is, while a righteous person might suffer in this lifetime, he or she will certainly be rewarded in the next world, and that reward will be much greater. In fact, in some cases, the rabbis claim that the righteous are made to suffer in this world so that their reward will be that much greater in the next (Leviticus Rabbah 27:1). What the next world is, however, is far from clear. The rabbis use the term Olam Ha-Ba to refer to a heaven-like afterlife as well as to the messianic era or the age of resurrection, and it is often difficult to know which one is being referred to. When the Talmud does speak of Olam Ha-Ba in connection to the afterlife, it often uses it interchangeably with the term Gan Eden (“the Garden of Eden”), referring to a heavenly realm where souls reside after physical death. The use of the term Gan Eden to describe “heaven” suggests that the rabbis conceived of the afterlife as a return to the blissful existence of Adam and Eve in the Garden of Eden before the “fall.” It is generally believed that in Gan Eden the human soul exists in a disembodied state until the time of bodily resurrection in the days of the Messiah. 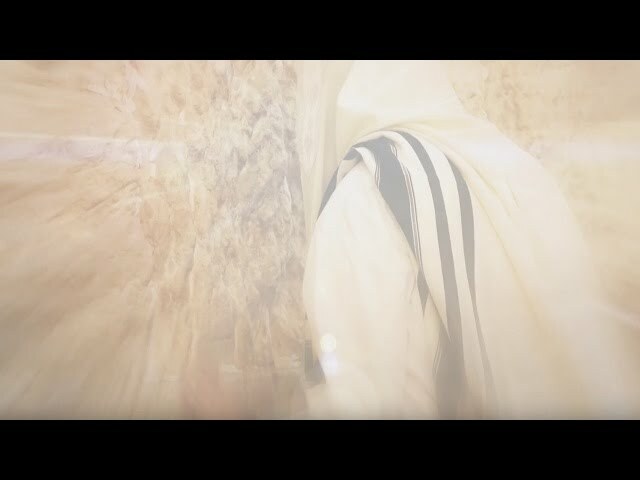 One interesting talmudic story, in which the World to Come almost certainly refers to a heavenly afterlife, tells of Rabbi Joseph, the son of Rabbi Joshua ben Levi, who dies and returns back to life. In the kabbalistic (Jewish mystical) tradition, there is much discussion about the voyages of the human soul to the Garden of Eden and other heavenly realms during one’s life on earth. In the Zohar, the greatest of the medieval mystical works, there are many stories about the soul-ascents of various members of Rabbi Shimon bar Yohai’s mystical brotherhood. Most often, these journeys take place at night, while the body is at rest (see, for example, Zohar I: Parashat Vayehi, 217b-218b). The soul’s sentence in Gehinnom is usually limited to a 12-month period of purgation before it takes its place in Olam Ha-Ba (Mishnah Eduyot 2:9, Shabbat 33a). This 12-month limit is reflected in the yearlong mourning cycle and the recitation of the Kaddish (the memorial prayer for the dead). As is clear from this brief discussion, the Jewish tradition contains a variety of opinions on the subjects of heaven and hell. And modern Jewish thinkers have generally shied away from the topic. However, the rise of interest in mysticism in the last several decades has prompted a renewed discussion about the afterlife. Given the rich mythical descriptions of the afterlife in the classical Jewish tradition, we must ask how such imagery impacts our views of heaven and hell and the destiny of the human soul. Are these ideas to be dismissed as the wishes of earlier, less sophisticated religious seekers? Have advances in the natural sciences made it impossible for us to believe in life after death? Or has our disillusionment with certain aspects of modernity — particularly its great reliance on rationality — reopened the possibility of belief in the afterlife in our day? Learn the reasons for this distinctive mourning practice.